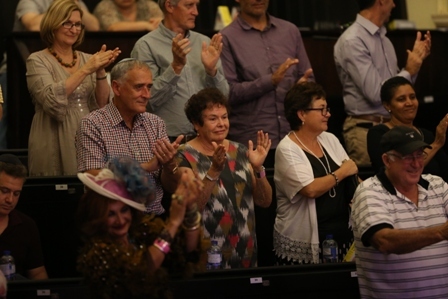 In the lead up to Purim, Chabad Brisbane celebrated its 18th Year anniversary in grand style with a Concert Extravaganza, held at the 130 Year-Old Historic Brisbane Synagogue. 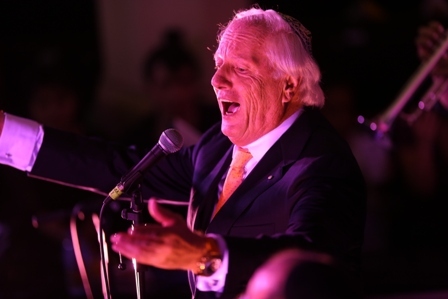 In the spirit of Shnas Hakhel, a significant crowd of people, of all ages and affiliations, converged on the Brisbane Synagogue last Sunday evening for a magnificent concert, to celebrate the 18th anniversary of Chabad Brisbane. World renowned Melbourne based, father and son Cantorial Duet, Shimon and Dov Farkas were first up, and they enthralled the audience with their uniquely brilliant, and warm harmonious presentation of some wonderful traditional, Israeli, operatic and contemporary music, which was followed in the second half of the evening by the electrifying and talented 8th Day Marcus brothers, who’s spirited performance rocked the excited and responsive audience, schlepping them out of their seats onto the small dance area in front of the state. The MC for the evening was Michael Arenosn, President of the Brisbane Hebrew Congregation, and following a few words of thanks and inspiration from Rabbi Jaffe, who Co-Directs Chabad Brisbane with his wife Dvorah, a video and power point presentation about the Global impact of Chabad, and its local effect on the Brisbane Jewish community and regions beyond, edited and prepared by JEM, was presented on a large screen. A beautiful Souvenir booklet was prepared for the event, containing letters from various dignitaries, extending their Mazel Tov wishes for the occasion, information about the artists, and greetings and Mazel Tov wishes from members of the Jewish community in Brisbane and regions beyond. 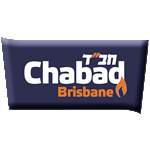 All those who were fortunate to attend were raving about the wonderful energy and joy which was generated on the night, which we hope and pray will continue to permeate all the continued work of Chabad Brisbane and the Brisbane Jewish Community and prepare us all for the ultimate Simcha of the Geulah NOW! Click here to view more photos of the concert! We are happy to inform you that the DVD of the recent fabulous Chabad Brisbane Chai Celebration Concert, held at the Brisbane Synagogue, is now ready and available to purchase from Paramount Video for $25. The DVD is great fun, and contains stunning world class music, so please share this information with your family and friends. Please contact Trevor Brazil of Paramount Video, directly, to purchase your copy of the DVD, on: 1300 656 269 or email info@paramountvideo.com.au.